Greetings from Morocco…wish you were here! Photo taken in April 2011 in Rabat, Morocco. 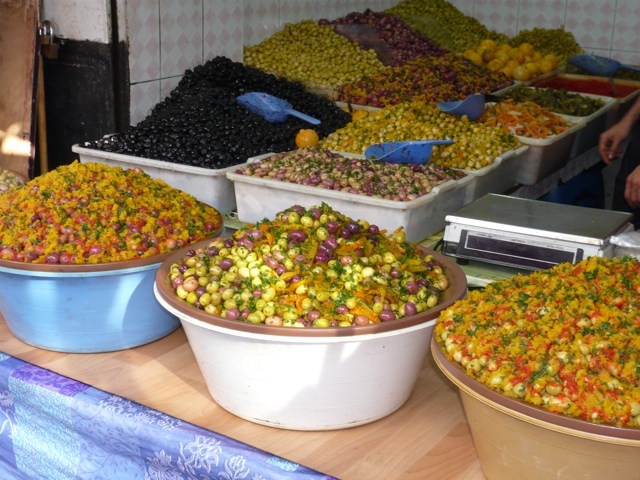 During a week’s trip volunteering in Morocco I came to fall in love with the fascinating, all you can want to buy Moroccan souq. There was everything there possible including tubs of turtles, Moroccan beauty products, spices, clothing, electronics, counterfeit jeans and t-shirts, and olives. I love olives and wanted to dig my hand inside the huge tub and start eating them! But of course I did not!